Discover a simple methods to audit and track your social media metrics. Do you have a lot of marketing goals that you want to reach, but you never seem to attain them? It could be because you are focusing your time and energy in the wrong places. It can be hard to see where the distribution is going wrong if you aren’t tracking social media metrics. 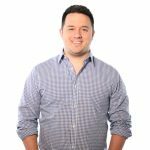 Doing an audit on your social media marketing is a great way to take a look at those numbers and see which social media tools you are under utilizing and which you should focus in on to meet your goals. Don’t know how to perform a social media audit or don’t know the best social media metrics to track? That’s OK, we have all the answers for you right here. Next you need to identify the goals you are trying to achieve through your social media marketing. Once you establish those goals they can be easily compared to the results of your social media audit to determine where marketing focus should be changed. For example, in social networking you may want to earn more media mentions or focus on developing mutually beneficial partnerships with industry influencers. Of perhaps you are looking to increase engagement, web traffic, or awareness of offers in the social influencing department. 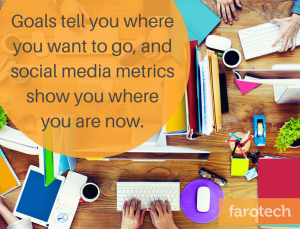 Whatever your current focus, getting a look at your social media metrics will be highly beneficial. Although “monitoring social media metrics” sounds complicated, the process itself really isn’t. All you need to do is record the last 10 social media updates made, a short description for each post, and the post type: social listening, networking, selling, or influencing. Once you’ve done this you can calculate the percentage of media updates that fall into each category. If you have three selling posts, then you have a 30% selling focus. If you have five networking posts, then you have 50% networking. If your goal is to increase networking, then you are doing great, but if you want to focus in on your selling, then you may want to shift those numbers.